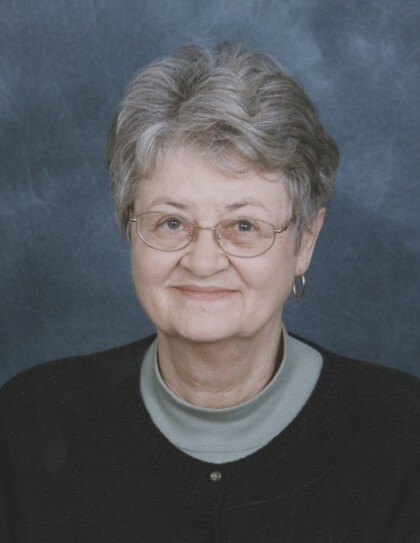 Obituary for Monica M (Parr) McCarthy | McIlvaine-Speakman Funeral Home LTD.
Monica M. McCarthy, 83, passed away Sunday, September 2, 2018 in the Washington Hospital with her family at her side. She was born September 10, 1934 in Connellsville, a daughter of Frederick and Mary Sarko Parr. Mrs. McCarthy was a 1952 graduate of Immaculate Conception High School in Connellsville and was a member of St. Patrick’s Parish, Canonsburg. She had worked for the John Dudt Bakery in Houston and retired in 1999, from Giant Eagle, McMurray where she had worked as a cake decorater. Monica enjoyed crafts, painting and puzzles. On August 20, 1955, she married Edward J. McCarthy Jr. who died August 3, 2001. Surviving are three children, Edward F. McCarthy (Sandra) of Monessen, Lori Sheldon (John) and Kris Lesnock (Matthew) both of Canonsburg; six grandchildren, Brett Semich, Erin Varner, Meghan Sandy (Pat), Kathryn Sheldon and Sean and Liam Lesnock; four great grandchildren; and several nieces and nephews. Deceased are a brother Frederick Parr and a sister, Jeanette Humbert. A Memorial Mass of Christian Burial will be celebrated 9:30 a.m., Saturday, September 15, 2018 in St. Patrick’s Church, Canonsburg. Interment will be private. Arrangements have been entrusted to the McIlvaine-Speakman Funeral Home Ltd., Robert K. McIlvaine, Owner/Supervisor, 27 Cherry Ave., Houston, PA 15342.